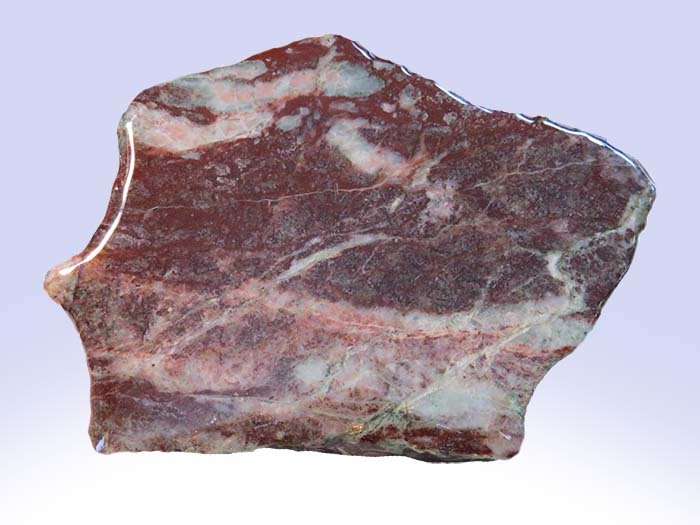 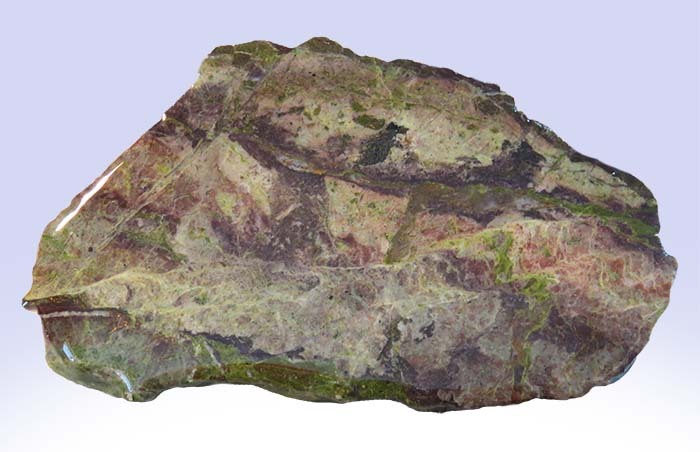 A pink variety of prehnite, commonly found in the basalts of the Keweenaw Peninsula. 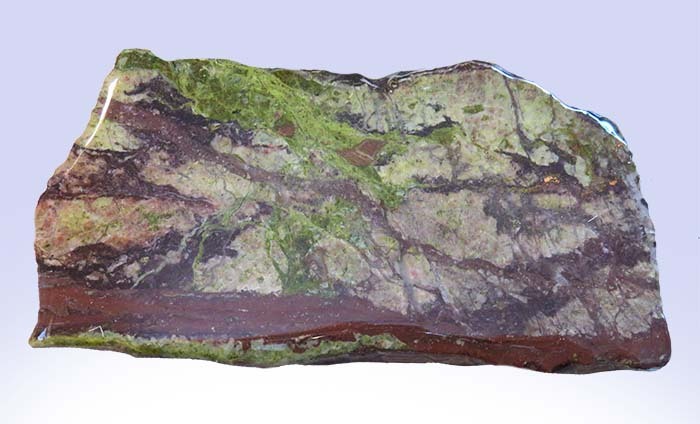 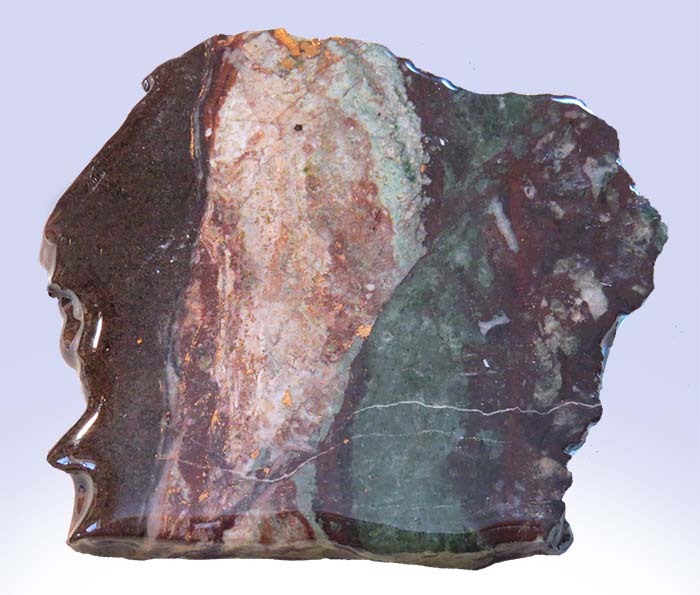 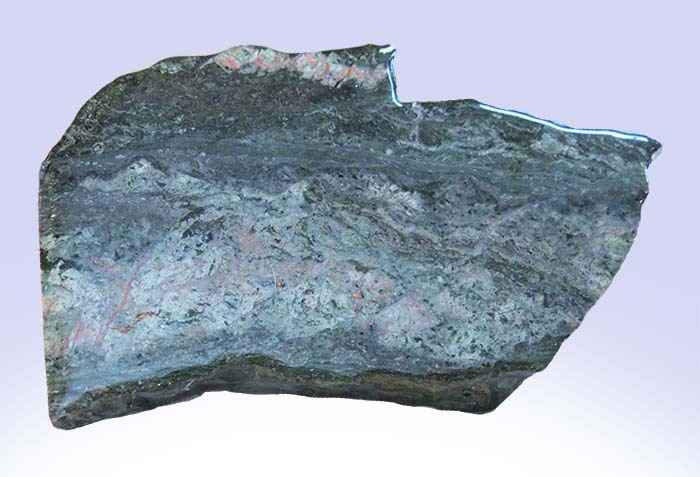 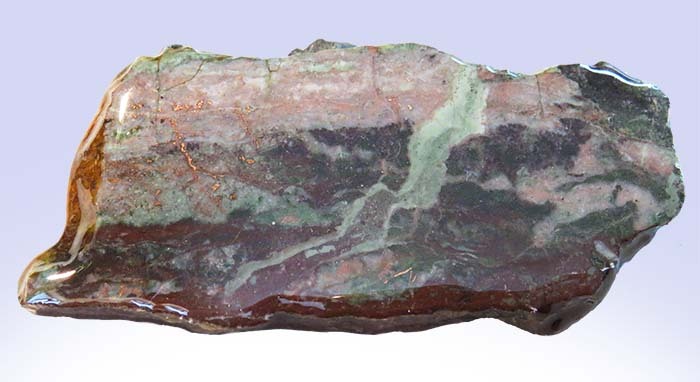 It may contain intermixed chlorite and native copper inclusions and is often confused with the mineral Thomsonite. 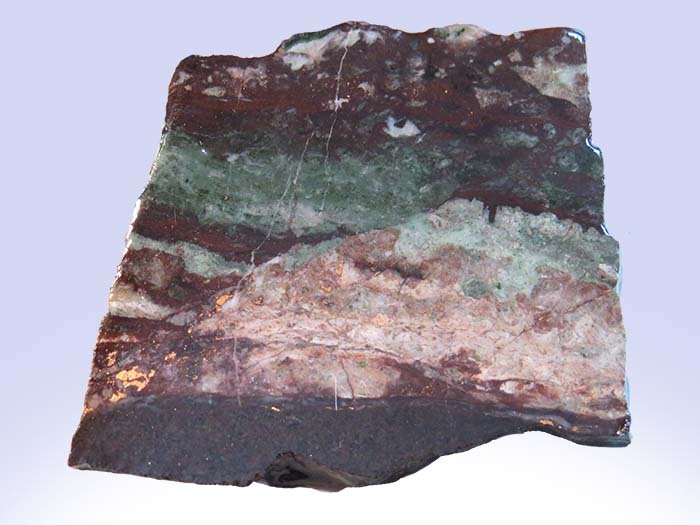 Most slabs are flecked with copper!